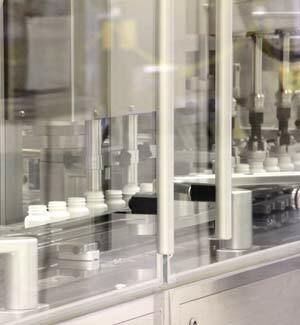 Jarrow Industries provides a full range of packaging services for finished products in tablet, capsule, softgel and powder forms. Our bottle sizes range from 60 cc to 3000cc (and more), are available in a variety of colors, materials and closure types. 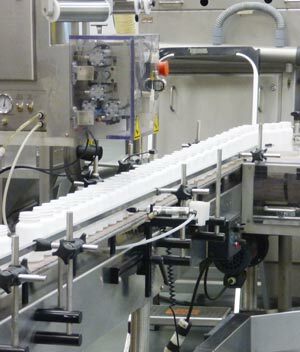 Additional options include desiccants, rayon filler, neck bands (partial and full sleeves), and lot number/manufactured or expiration date stamping on label or bottle. 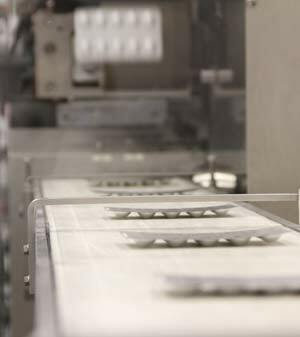 Blister packaging is an excellent means of ensuring your product’s stability over a long shelf life. Blister cards are useful for creating larger format box displays for your products. Aluminum-Aluminum offers the very best protection for your most air and moisture sensitive products. We also have a dedicated box packaging department, which can fill your boxes with completed blister cards. The boxes are sealed, stamped with lot number/expiration and then case-packed for shipment. Our facility maintains strict Quality Control standards to meet your final product specifications.